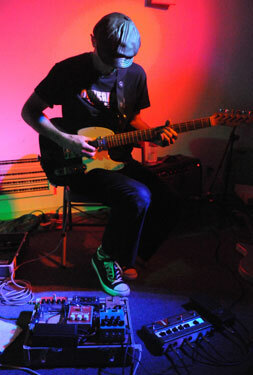 Lucio Menegon is a composer, improviser, producer and sonic artist. He performs in varied collaborative and improvisational situations and as guitarist, sideman and colorist to traditional songwriters and performers. Lucio focuses on the creative use of melody and dynamics - judiciously using effects, live looping and found sound to sufficiently mangle a rock ‘n’ roll, blues, country, punk and experimental background. 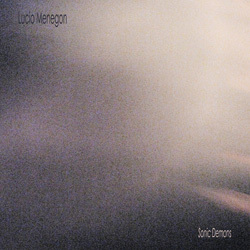 Sonic Demons is Lucio' s 8th experimental music release. He also appeared on a tidy pile of albums and in live performance with the likes of Mark Growden, Gunnar Madsen, Carla Kihlstedt, Edith Frost, Myles Boisen, John Shiurba, Morgan Guberman, Wil Hendricks, Pat Spurgeon, Amy DeNio, Glenn Branca, Rhys Chatham, Moe! Staiano, Anton Barbeau, Val Esway etc., etc. Film credits include the soon to be released 2009 experimental film, NightSoil, created in collaboration with Thad Povey, Al Alvarez and Mark De Gli Antoni and an award winning score for John Harden’s short, La Vie d’un Chien. His work has appeared at the SF International Film Festival, Sundance Film Festival and the SF Yerba Buena Center for the Arts and Music on Film Festival in Prague, CZ.